I really need to start planting my Summer veggies, so I drew up a preliminary plan. I will think this over and probably move things around, but I think I have most of my veggies accounted for. I will probably either buy more plants or sow more seeds to plant in the blank spaces. 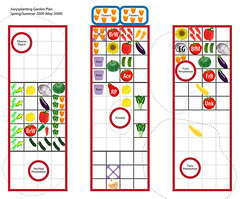 This entry was posted in Uncategorized and tagged garden, garden plan, sfg. Bookmark the permalink.